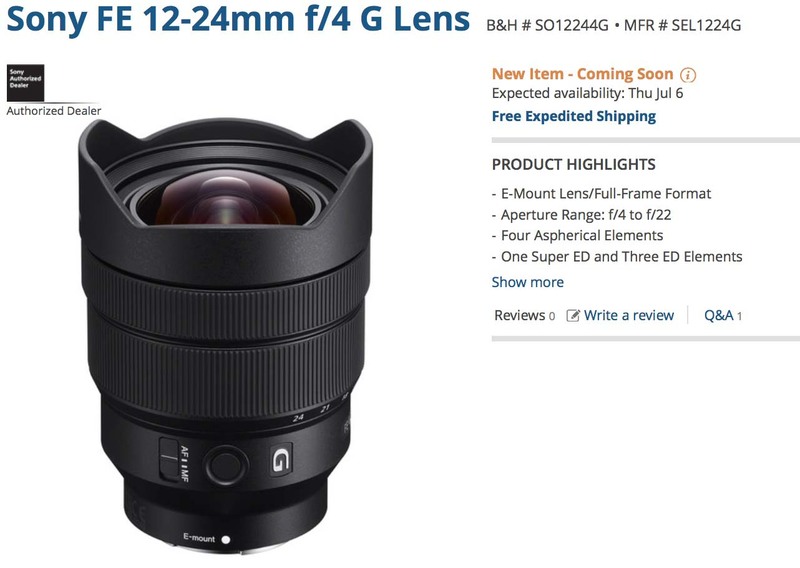 According to B&H Photo the Sony FE 12-24mm f/4 G will begin shipping July 6th and it should be a great option for those looking for a wide zoom lens for their a7. I have always enjoyed shooting 12mm, especially when it is well corrected. The Sony FE 100-400mm will follow when it begins shipping July 27th and it should be a must have lens for Sony a9 owners. G Master glass is a must have on the Sony a9 if you want to take maximum advantage of it’s speed. 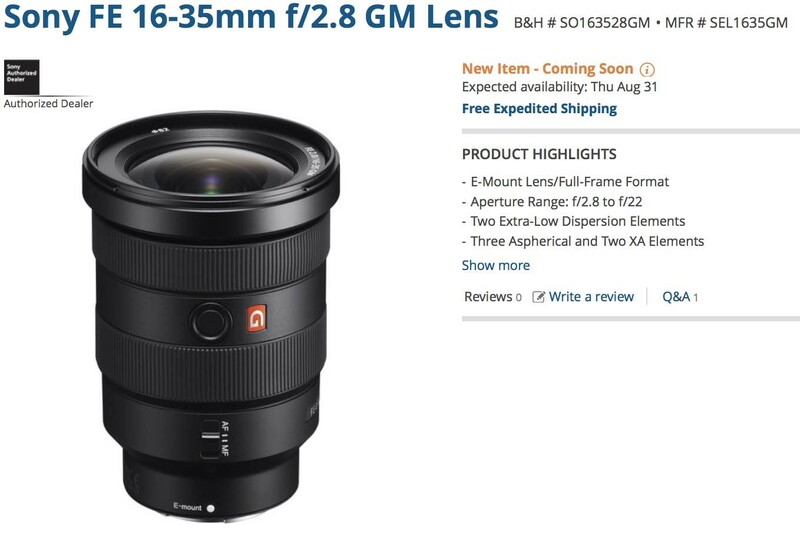 They will be followed by the Sony FE 16-35 f/2.8 GM professional wide angle lens on August 31st, which rounds out Sony’s professional line of zoom lenses. It would be great to see another a7R camera to go along with this lens. This entry was posted in Sony lenses and tagged Sony FE 100-400mm, Sony FE 12-24mm f/4 G, Sony FE 16-35mm f/2.8 GM. Bookmark the permalink. Trackbacks are closed, but you can post a comment.